Philadelphia Eagles players Malcolm Jenkins and De’Vante Bausby raised their fists in protest during the playing of the Star-Spangled Banner prior to Thursday’s exhibition game against the Pittsburgh Steelers. 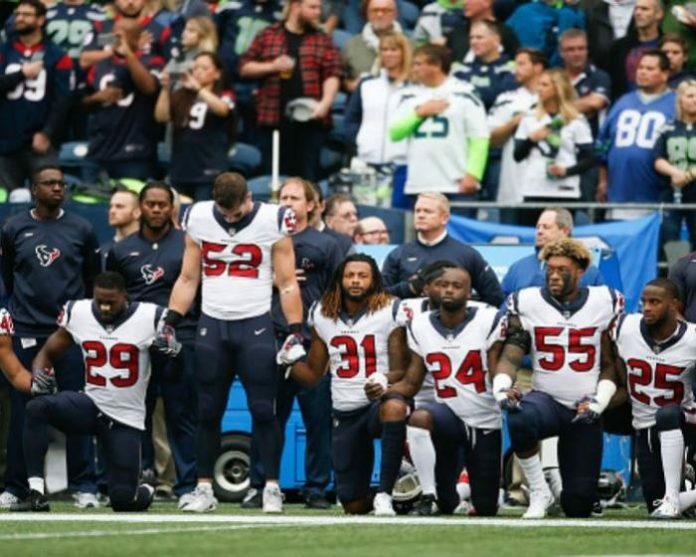 The move marks a resumption of the NFL players decision to protest during the playing of the pre-game anthem in order to raise awareness about social injustice in the US. In Miami, Dolphins defensive end Robert Quinn raised his right fist and teammates Kenny Stills and Albert Wilson took a knee during the song. 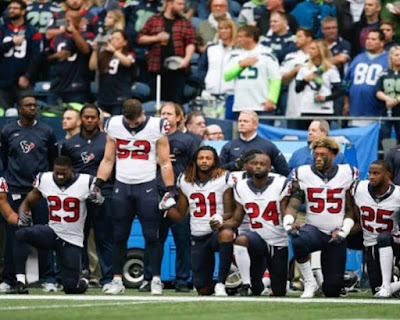 The NFL owners approved a new national anthem policy two months ago that requires players to stand if they are on the field during the anthem, and fines a team for any protest by its players. The NFL decided to put a temporary hold on the implementation of that policy while it meets with the players’ union to find a solution. Former NFL quarterback Colin Kaepernick tweeted his support for the Miami players. “My brother @kstills continued his protest of systemic oppression tonight by taking a knee. Albert Wilson @iThinkIsee12 joined him in protest. Stay strong brothers!” Kaepernick wrote on his social media page. The NFL issued a statement Thursday night saying they will continue to play the anthem before games. “There has been no change in the NFL’s policy regarding the national anthem,” league spokesman Brian McCarthy said. “The anthem will continue to be played before every game, and all player and non-player personnel on the field at that time are expected to stand during the presentation of the flag and performance of the anthem. Personnel who do not wish to do so can choose to remain in the locker room. Dallas Cowboys owner Jerry Jones recently stated that his team would require players to stand on the field for the national anthem no matter what rule the league settles on. Jenkins said earlier that he is afraid the other owners are allowing Jones to speak for them. “When you have owners like Jerry Jones who speak so strongly and who has drawn his line in the sand and has been very vocal about it, and you’ve had other owners be very quiet, Jerry Jones is now the voice of NFL ownership,” Jenkins said.